If you are ready to test your trading savvy in the real world, on someone else`s virtual dime, look no further than the FBS Pro Demo Contest! The free Forex contest allows virtual traders to tout their trading mastery, in an effort to win real cash prizes, beginning with a $450 first prize! Simply logon to FBS [read review] and locate the FBS Pro Demo Contest terms of conditions to proceed. Once you are up to speed on the official rules, sign up to participate for the $450 first prize. Each participant receives a demo account, loaded with $10,000 in virtual cash. You have until April 17th to register, so get on there now! 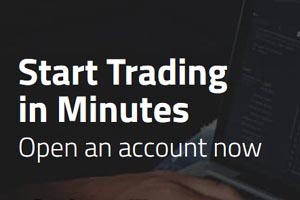 With 1:100 leverage applied to each user, the FBS free Forex contest encourages Canadian trading customers to trade using their own techniques and strategies to accumulate the highest balance over a one month period. Whoever ends the contest with the highest balance will rake in a cool $450 first prize! The free Forex contest pays through fifth place, so what have you got to lose?